Transparency is an important part of being a nonprofit cooperative. As part of our effort toward transparency, we are changing our bill format to separate the Tennessee Valley Authority (TVA) Energy Charge from the Volunteer Energy Cooperative (VEC) Energy Charge. Currently between 80 and 82 cents of every dollar VEC collects goes to TVA. 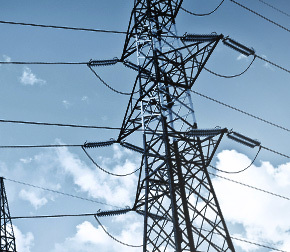 On your bill, there will now be two lines – VEC Energy and TVA Energy. This break down will show exactly how much is paid directly to TVA of members’ usage per kWh and kWh total cost. It also shows how much VEC keeps of the energy cost per kWh. The goal of this billing format is to help you, our member, understand the effect TVA’s financial plan has on your power bill and where your energy dollars are going. The bill will still show the monthly TVA Fuel Cost Adjustment (FCA), but now it will show the TVA Energy Cost separately. VEC has not changed what we charge, but have broken out the TVA cost for our members’ clarity. The first new statements will be printed on June 11, cycle 3.